We present our new catalog of Tennis Academy Živković. 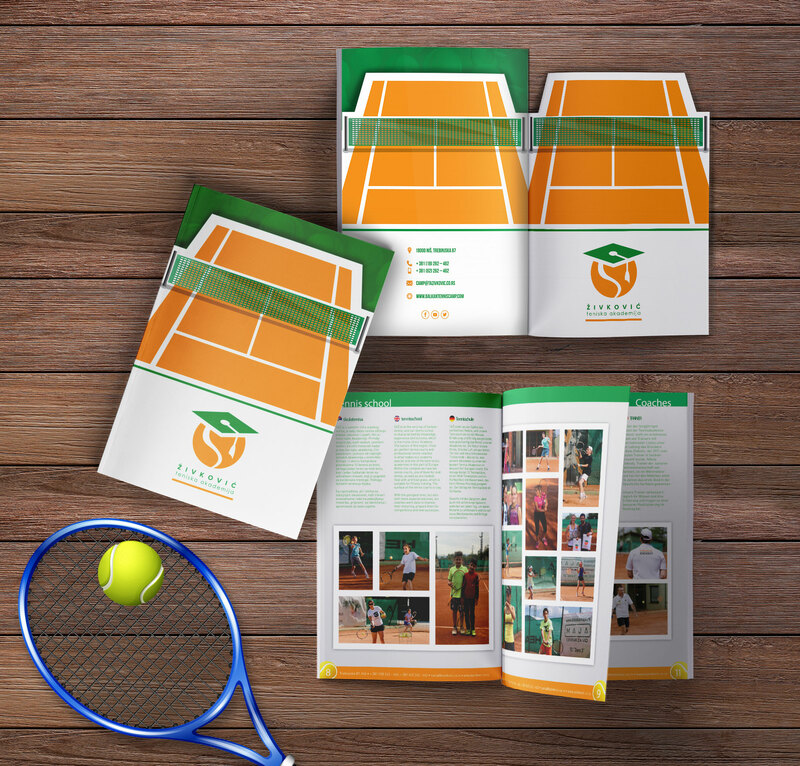 We have just did the copywrite, design and print of a new catalog for one of the best tennis academies in the region. In the creative, we kept the “out of the box” principle which always gives different and innovative results. The design is made in the way that the cover page is cut along the line of the tennis court, while the dry stamp of the logo and partial lacquer on the tennis net give an elegant note. The catalog is trilingual, Serbian-English-German, in order to communicate with talents from around the world.